Heart & Mind: Praise God! Another good sermon today. I guess it's become my habit to write about the sermon quite often. Anyway, today's sermon was the last in a series Brad did on "Praying the Psalms." Today was the last Psalm in the book, Psalm 150. At one point Brad said that many current theologians say that American religion has become moralistic, therapeutic and deistic. It's about what's right or wrong, it's about how it can help me feel better, and it's about the fact that there is a God out there. Hmm. That made me think of some of the stuff John Suk wrote about in his book, Not Sure, which I blogged about today in my other blog. But mostly today's sermon was about PRAISE. 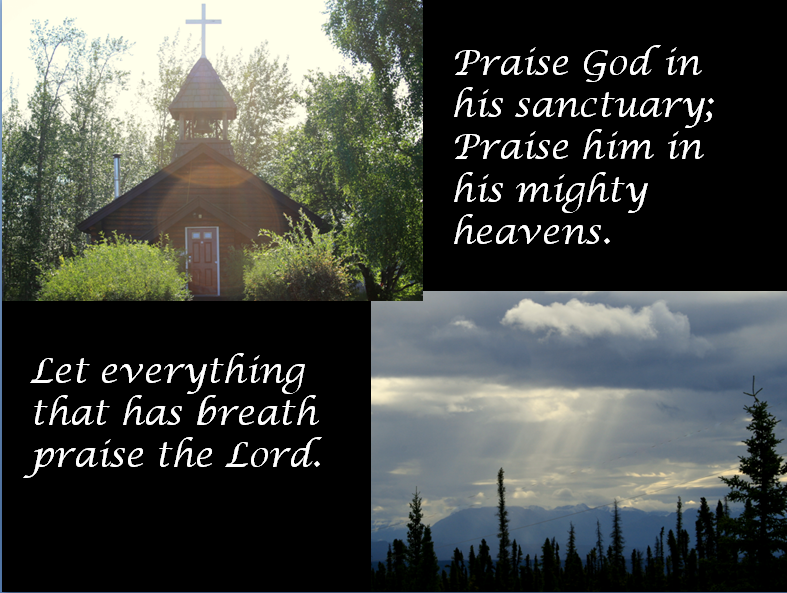 He said Psalm 150 is unequivocal when it tells us to PRAISE GOD. It does not ask us how we feel about it, or talk about why we should do it, or how it benefits us. It just says, do it! 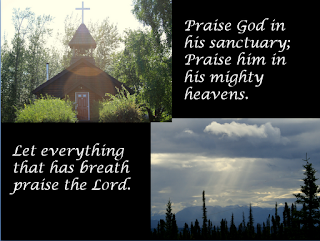 Praise him because he is God, not me, and praise God for that! It was a joyful service with communion, which is always a blessing, good singing, and some participation by children, which is always heartwarming. Brad had asked people to memorize a Psalm for this series and to let him know if we did it. Two little girls, sisters, learned Psalm 23 and recited it today. You can't get much more touching than that.